Approximately 1 oz. whole nutmeg (Myristica fragrans). 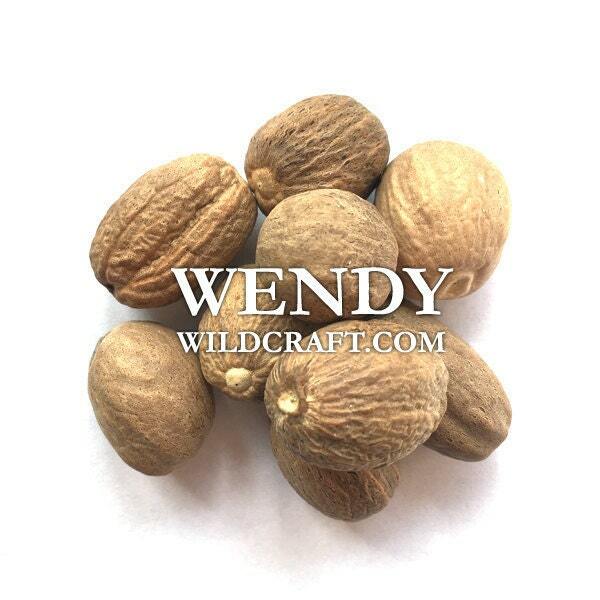 Nutmeg can be used in cooking, potpourri, soap making, crafts and more! Better then anywhere else you could purchase. Whole in tacked no cracks. Again the aroma is so just right. Thank you! The piece I received was very very light, but I still feel that rosey energy. I hope my next rose quartz will have more color.